The experience of centuries expressed in the Rule of St. Benedict as well as in the legislation of the Church and the Cistercian Order have provided for a long process of discernment and formation for those who are entering a Cistercian monastery. During this period, there is a gradual initiation into the monastic way of life. The various stages that comprise the initial formation process are meant to assist the candidates to grow as human beings and as disciples of Christ. The aspirancy includes several visits to the monastery and a longer period spent within the community as means by which the candidate and the community grow in mutual knowledge. It is a time to discern God’s call and the presence of positive signs of a Cistercian vocation. These positive signs include: the sincere desire to embrace the life of the community as a means to union with God; the necessary physical, mental and emotional health to live their vocation fruitfully and a humble docility born of faith, hope and love, making the candidate eager to learn and instinctively open to both the solitary and the communal dimensions of Cistercian life. The duration of the aspirancy is aproximately one year. During the postulancy, the postulants live in the monastery and follow the life of the community as the main means to discern her capacity for Cistercian monastic life. The postulants are entrusted to the pastoral care of a formator, who will accompany them on their spiritual journey. The postulancy is a period of initiation and of progressive adaptation to the monastic life. The formators introduce the postulant to prayer, to the Divine Office and to lectio divina, and other fundamental elements of the Cistercian life, and help her surmount the difficulties which are proper to this stage. The period for the postulancy is one to two years. The novitiate is a time for a personal integrating of the Cistercian way of life. Through prayer, ascesis, growth in self knowledge and participation in the life of the community, the novices are led to a more intense personal experience of what is involved in the living out of the Cistercian vocation. 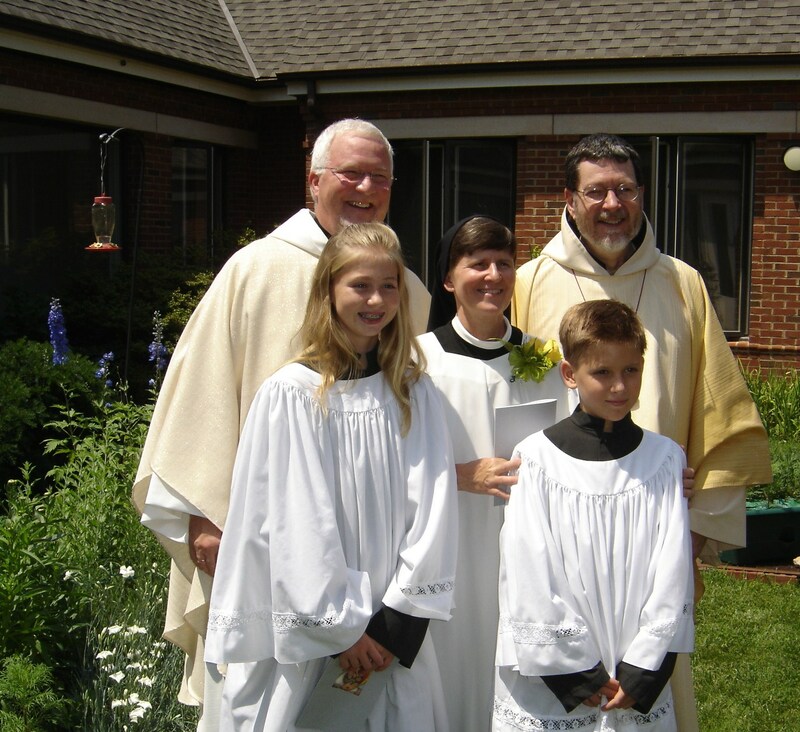 The objective of this stage is to verify the real and concrete ability of the novice to live this vocation with joy and generosity, particularly in reference to fraternal life in community. The novices should continue to develop humanly and spiritually, growing in a personal relationship with Christ. A program of monastic studies is begun in the novitiate. The courses of the novitiate are oriented to the spiritual needs of this stage of formation. At the end of the novitiate, when the novices are ready to commit themselves to Christ and to the community through monastic profession, they make a petition to the superior. The duration of the novitiate is two years. 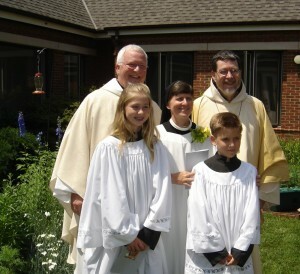 The juniorate, also called monasticate, begins after the first profession of vows. Its goal is to experience the capacity of the temporary professed to find a proper balance between the various dimensions of Cistercian life (prayer, work, study, fraternal relationships, solitude …), gradually succeeding in creating their own personal synthesis of the charism and incarnating it in the various situations of daily life. The junior director and other formators help the juniors in this process and their fuller participation in the activities and responsibilities of the community. Through their participation in a program of monastic education the juniors are led, on the one hand, to a more conscious awareness of the content of the faith and of the monastic patrimony; on the other hand, they are invited to a deeper reflection on their own beliefs and values. During this process, special attention will be given to seeing whether the juniors have sufficient human maturity to make a free and responsible commitment that will enable them to live their consecration with fidelity through the many difficulties and changes which are characteristic of the spiritual journey, and whether they are able to accept the specific identity of the local community and to give themselves to its service. At the end of the period of temporary profession, the juniors will freely ask their superior to be allowed to make solemn profession. The duration of the juniorate is five to nine years.